Step back into Australian history...to 1865. 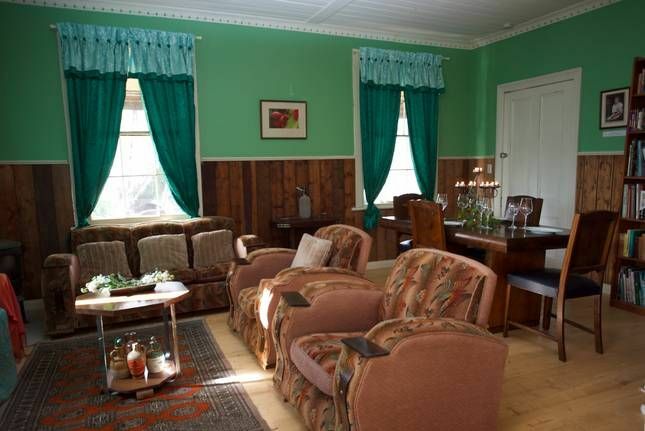 Welcome to TQHH where you can come and stay and experience an Australian historic country pub. We are a quaint and quirky former hotel built back in the gold rush days, comprising 3 large lounges for you to spread out and relax in, the original public bar with Queensland cedar top, 4 dining area to choose from, 4 bedrooms, 3 bathrooms, a large fully equipped country style kitchen for you to whip up a great meal, plenty of parking all set on 3/4 acre of land. We have one open fire in the former ladies parlour and two wood burners in two other lounges to keep you warm and toasty. The hotel has a lovely feel to it but we have had some quests who can sense previous residents!!!! We call it quirky for a reason,the lights in all the bedrooms are turned on by a remote control but you still have to turn the light switch on at the wall first. Staying at the TQHH is an experience. Sorry but we have a strictly NO CHILDREN POLICY as we have a water feature/pond on the property. The property is suitable for groups that appreciate old and quirky.... we are not all white or modern! We have a large function room ideal for painting groups, yoga or just chilling out in. Outdoor seating on the large patio overlooks a beautiful pond filled with goldfish and waterlilies,as well as paddocks with sheep grazing on them. More than 8 people can be accommodated but this is subject to owners approval. The hotel is located 2 hours west of Melbourne and 45 minutes from Ballarat. Well known vineyards surround us including Mount Avoca, Blue Pyreness and Warrenmang. We have on offer 4 bedrooms All rooms are fitted with a TV/DVD, ceiling fans as well as heaters. Eccentric place great for large groups. Quirky it certainly is. You are met on arrival by John who is a very interesting person. Multi talented he has lovely artwork and photography adorning the walls..much of it created by him. He gave us a quick tour with historical info and a few handy hints thrown in. There are a lot of rooms allowing plenty of people to stay. A commercial kitchen and plenty of refrigeration space was very handy for our group. The bedrooms are basic comfortable all with fans. There is a games room, lounges and a few options for dining areas. Outside on the veranda is a top spot for a group drinking, smoking and generally partying up. It would just as easily be a good spot for reading a book. There is a beautiful quite newly created pond out there. Water lilies, Papyrus, iris? are amongst the plantings. Gold Fish of several varieties dart amongst the rocks and plants. Bees hungrily shared the flowering Lillies. Our big family loved this place. No heirs and Grace's it speaks honestly to you. You soon start respecting the creative vision of its owners and forgive some of the unusual eccentricities. It was a great stay for a large rowdy yet respectful group. Thanks for a lovely detailed, careful review. You have pinpointed exactly what the hotel offers. I hope that you come again in the future. Thanks for the review Yash. I’m glad your group enjoyed the stay and the expedition to the Grampians. Its not often you get a whole Hotel to yourselves withobviously alot of interesting hisptry behind it. A great place to go with a group. We had a ball. Hello Tracey We are so thrilled that you had an enjoyable time at the hotel and yes it really is a great group holiday stay. Since your group left we have installed a table tennis table in the exhibition room which is proving to be a great hit with guests. So sorry that you scored us so low on cleanliness as we have great ratings in general overall on other booking sites.At the time of your stay we were nursing a dying relative in Melbourne so the place may not have been dusted as usual. Do hope that you come and stay again. Catherine.